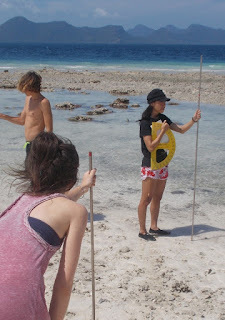 Beach transects were the marine science fieldwork practical today. Of course, a quick study of the tide tables showed that the new moon low tide (spring tides) was in the middle of the day. 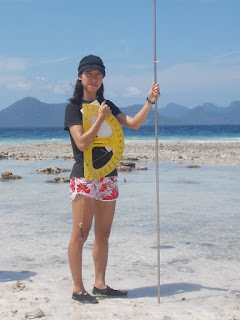 At the equator, (TRACC is at 4 Deg N), the big tides each month are always high at dawn and dusk and low at midnight and midday. Equipped with sunscreen and carefully marked survey poles the intrepid Marine Science A level class braved the short walk to our beautiful white sand beach. 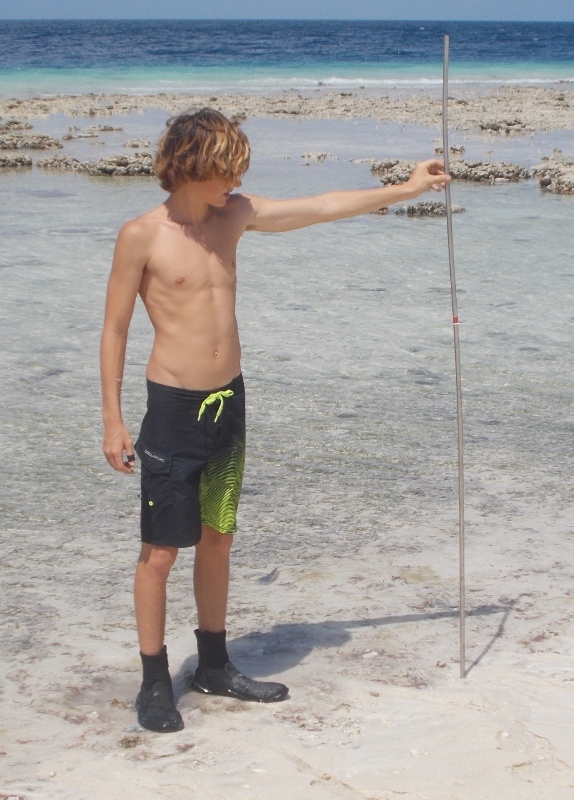 The techniques is simple, from the low tide line the beach slope and elevation is measured at 20 cm intervals. The height of the water at the time of low tide is known from the tide tables. 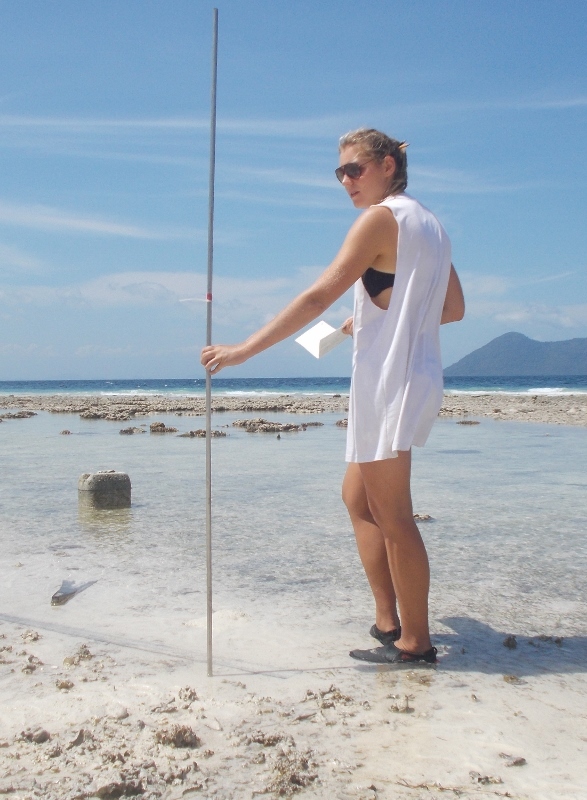 The longer survey pole is held at the low tide line and the shorter pole moved up the beach until looking across the top of both poles lines up with the horizon. 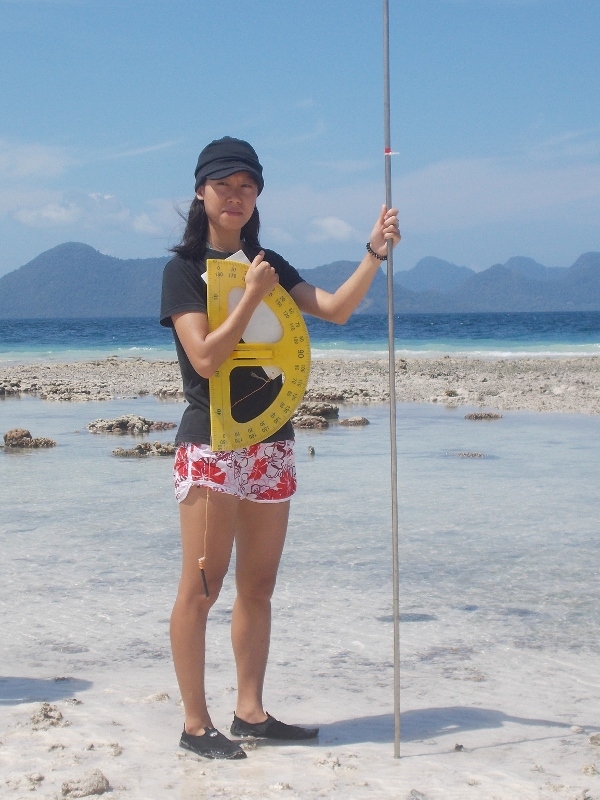 When the two pole tops and the horizon are aligned then the short pole is 20 cm higher up the beach than the long pole. 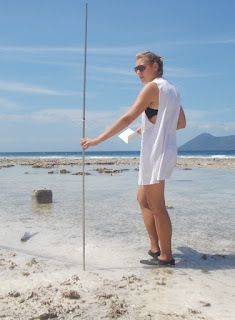 We measured the distance between the bottoms of the poles to give a measure of beach slope. We repeated the process, by moving the big bottom pole to the position of the top pole and then repeating the leveling by moving the top pole another 20 cm vertically up the beach. The beach slope was fairly constant at 1in 7 or approximately 12 degrees. With a giant yellow protractor we checked this.angle. 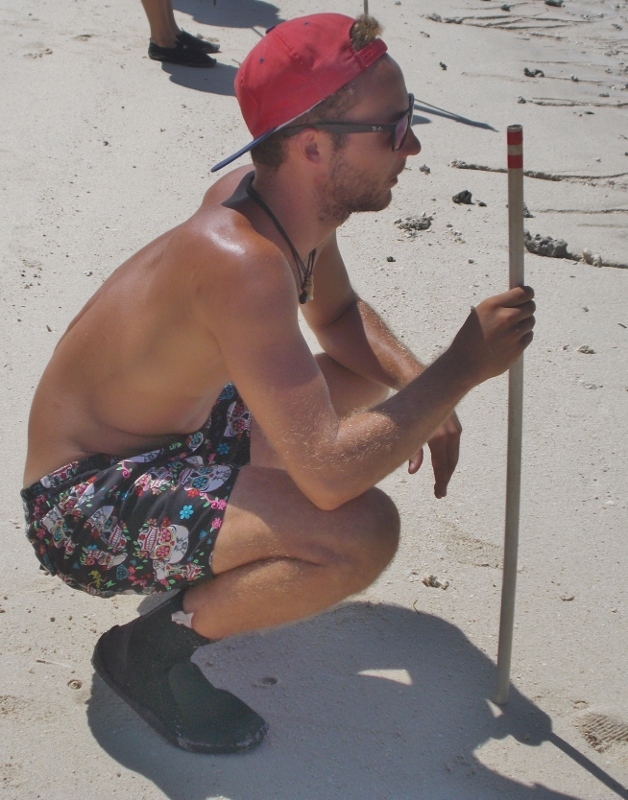 With a practiced technique we are now ready to tackle beaches with varying slopes, sediment types and biological communities.